Horse Box Tracker fitted to this Leyland Daf based vehicle in Baildon, Bradford. This particular customer contacted us after her insurers requested that her horse box was to have a Thatcham Cat 5 tracker fitted to it. While it's not unusual for insurance companies to request this, we have often found that after informing our customers with some technical information on horse box trackers it is worth challenging their insurer to accept a Thatcham category 6 horse box tracker instead, as there's quite a saving to be made if the challenge is successful. As we are sure you will agree with a total saving of nearly £600.00 it's certainly worth challenging them on the tracker of choice for your horse box as this customer did and made the huge saving. 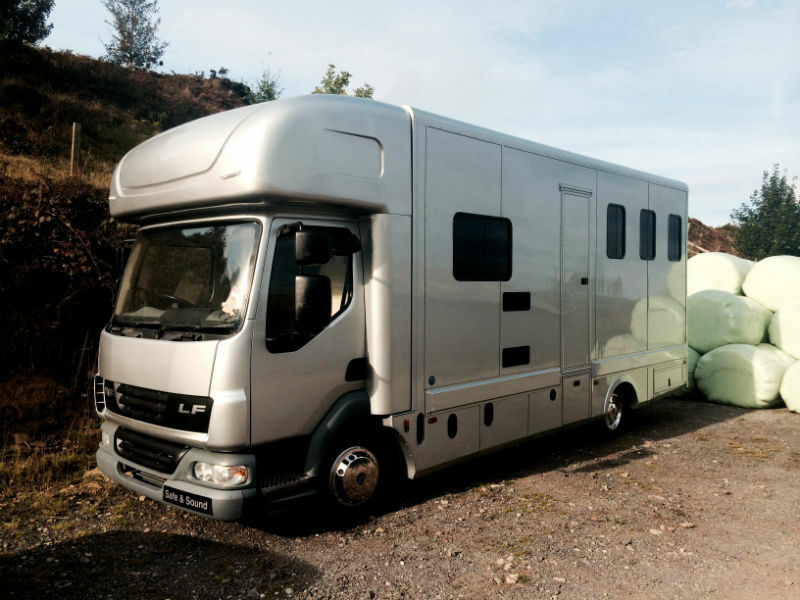 If you would like more information on how we can help you with the the correct choice of horse box tracker please do not hesitate to contact us.